The 2016 Susan G. Komen Dallas Race for the Cure® was a great success, and we couldn’t have done it with out all of you! We want to thank all of our sponsors, participants, teams, donors and volunteers. You are all More Than Pink™. We will be announcing the date of the 2017 Race soon, so be sure to be on the lookout! In the meantime, check out photos from this year’s Race in the link below. 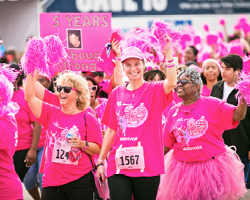 It’s your last chance to go the distance and help us reach our $1.3 million fundraising goal for the 2016 Komen Dallas Race for the Cure. Donate $25 or more now through November 14th and your name will be entered into a drawing for 25,000 American Airlines® Miles (one entry per person). 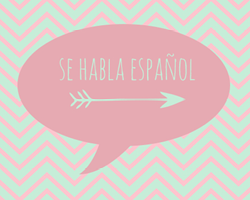 We are in need of Spanish Speaking Volunteers to join our Speakers Bureau and for health fairs. Speakers Bureau provides 20-30 minute presentations at the request of businesses and organizations in our local community. Health Fair Volunteers man the Komen Dallas County table at various health fair events, ranging from 2-6 hour commitments. This is a great way to earn any mandatory community service hours! We train you on what to do and say, as well as provide all the needed materials. 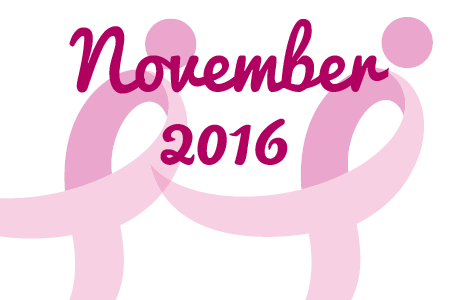 If you are interested please contact us at 469-619-3906 or aheath@komen-dallas.org. 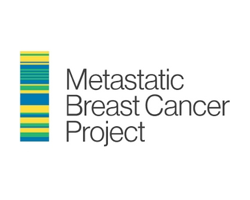 The groundbreaking Metastatic Breast Cancer Project wouldn’t be possible without its leader and Komen-funded researcher Dr. Nikhil Wagle. Check out his interview where he answers questions about his personal motivation, and how he and his colleagues worked with patients to develop the project. 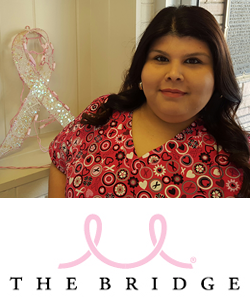 Because of Komen Dallas County funding, the Bridge Breast Network has navigated 414 women to breast health services, provided 25 women and one man with breast cancer treatment, and 19 women with post-treatment services since April 1, 2016. Our Race band is back! Jordan Kahn and his incredible 30-piece orchestra will be performing your favorite Christmas songs at the beautiful Majestic Theatre in Dallas, December 16th at 8:00 p.m. We are so excited to be a beneficiary of the concert, and we’d like to thank the Jordan Kahn Orchestra for what is sure to be a fun and festive night of holiday cheer! Learn more about the Christmas Concert for the Cure below. Lilly Pulitzer at NorthPark Center will be hosting a Shop and Share event Saturday, November 12th between 10:00 a.m. and 8:00 p.m. 10% of your purchase will be donated to Komen Dallas County and there will be drinks and sweets served! 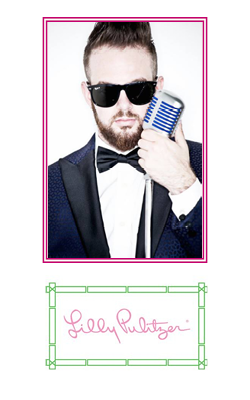 Thank you Lilly Pulitzer for organizing this event and for being More Than Pink™!